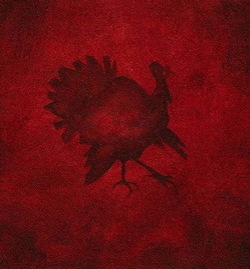 For those of you who don't celebrate this so-called "evil pegan holiday," I raise my fork of turkey to you, as well. Can you feel the love? Turkey and stuffing aside, I wish you and your families a wonderful holiday weekend. I'll tell you what's evil -- that "Black Friday" scam. I'm staying out of the stores on Friday. I'm not going to fall for the retail okey doke. Now this is an awesome event on an honorable day in January. The late Detroit producer J Dilla will be saluted with a tribute concert led by Mos Def and his Big Band for the University of Michigan's Martin Luther King, Jr. Symposium. The event will be held at the Hill Auditorium in Ann Arbor, Michigan on Jan. 21 (aka Martin Luther King, Jr. Day). "[Mos Def] really represents what is meaningful and what is good, and he shines the light on a lot of what is positive in hip hop," said Mark Jacobson who is managing the concert. "He comes to the art form with a positive message." A couple of months ago, I recently bought the LG enV phone and raved about it in this post. I said that with a few upgrades and changes the LG enV could outshine it's closest competition, the T-Mobile's Sidekick -- the text-messaging "It" phone that's a favorite among hip-hop celebs. 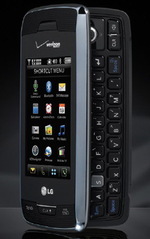 Now Verizon and LG will unleash the Voyager -- their newest upgrade of the LG enV. Obviously, the Voyager is looking to steal some of the iPhone's thunder and coolness factor. It has an external touch-screen, like the iPhone, except it also has an expandable QWERTY keyboard and other hot features (e-mail, web browser via its super fast 3G Network). The phone looks super cool. Although, I have to say, the "Voyager" name belongs on a yacht than on a smartphone. They should have called it enV-2 or something. And if the Voyager is anything like the LG enV, I'm telling you right now -- it could definitely maim, if not officially kill, the iPhone. So far, the Voyager has garnered some good reviews. The Voyager phone will arrive in stores on Nov. 21 just in time for the holiday shopping season. I'm going to upgrade my enV to the new Voyager phone when the initial rush is over -- probably in December. Can we please have a moment of silence for . . .
Dr. Donde West, the mother of rapper-producer Kanye West, who passed away on Nov. 10 at a Los Angeles hospital following cosmetic surgery. She was 58 years old. An autospy is being performed to conclusively find the exact cause of death. According to reports, Dr. West contacted Dr. Andre Aboolian to discuss two cosmetic operations -- breast reduction and liposuction. But Dr. Aboolian said he wouldn't operate on her until she was medically cleared to go through the procedures. Eventually, Dr. West chose Dr. Jan Adams who is an experienced surgeon but did have a checkered history in his years of doing plastic surgeries. He performed the liposuction and breast reduction procedures on Dr. West and contends that they were no complications during the operations. Dr. Donde West was a retired English professor and a former chairwoman at Chicago State University who also co-managed Kanye's music career. 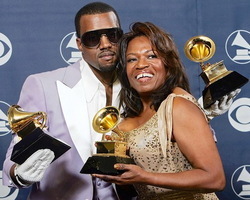 "She always gave me support," Kanye said of his mother. "A lot of parents don't train their kids to think." She recently penned a memoir dedicated to her only son titled Raising Kanye: Life Lessons from the Mother of a Hip-Hop Star. Kanye recorded a tribute song to his mother called "Hey Mama," which appeared on his second disc, Late Registration. 'Ye's publicist, Maureen O'Connor, issued this statement: "Kanye West, his family and friends would like to thank everyone for the outpouring of support and kind words that have come in from across the country since the death of his mother." Meanwhile, memorial services are being planned at Dr. West's alma mater, Chicago State University. "[The services] will really be a celebration of her life," said University rep Robyn Wheeler on Monday. "We are bringing together a number of faculty members who knew her well to organize an upbeat celebration. Her spirit was such that this requires a feeling of fun." Elsewhere, Jay-Z paid tribute to Kanye's mother during his sold-out New York concert on Nov. 11. He led a moment of silence in honor of Dr. West before saluting his little brother. "This show is dedicated to Kanye West who had a death in the family," Jigga told the crowd. "We got you, Kanye. Stay strong," he added before shattering the solemn moment with the show's big finale, "Roc Boys (and the Winner Is)." My condolences go out to Kanye and his family. Stay strong. Rest In Power Dr. West . . . and thank you. Hot music links -- clickety click away! Enjoy! Finally! Here's a new joint from Badu's loooong overdue LP, tentatively titled Kahba, due out on her birthday Feb. 26 (cross your fingers). The single CD artwork is quite impressive. As for the track, it was produced by 9th Wonder (of Little Brother fame) and I like the synth-and-strings instrumentation. 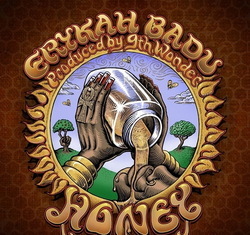 It should create a new buzz for Erykah on radio. Two beautiful performances of two beautiful songs. Check out Alicia Keys performing live these two lovely ballads from her new disc, As I Am. Go out and cop A.K. 's new collection -- it's one of the finest R&B/Soul albums of the year. Well, well, well. Nas finally releases the "Hustlers" video -- nearly a year after Hip Hop Is Dead was released. Why did Nas waited this long? I can't front, the video is hot! I feel this song -- nice and soulful. The American Gangster soundtrack is a great compilation, as well. Keyshia Cole -- "Heaven Sent"
Before Keshia's LP, Just Like You, disappears amongst the upcoming CD releases of Alicia Keys and Mary J. Blige, check out this standout track from her collection. J-Live -- "Feel Like Spittin'"
Have no fear, I'm still listening to rap music. Lyricist J Live is one of the most underrated MCs in the rap game right now. This joint is off the chain! Directed by Chris Robinson (ATL), Jay-Z goes back in time and the present in this celebratory video featuring all of the heavyweights in the game including Diddy and Mariah Carey. The Roc is in the building! Who is Cheri Dennis? Eh, she's no Cassie. Ha! The single ii-ight.